In the world of online shopping, packaging is as important as the products inside your box. Imagine ordering a luxurious product that arrives in a dull and damaged cardboard box. And now imagine receiving the same product, but this time it’s beautifully packed in a quality, personalised box that reflects the value of the item inside. Apart from looks, it is also important to ensure that your parcel is easy to open. Even the most beautiful box will not quite deliver that desired WOW factor if your customers have to wrestle with packaging to get to their items. Avoiding the so-called “Wrap Rage” (customers’ frustration resulting from the fiasco of opening hard-to-open packaging) and offering packaging that impresses will help to elevate customers’ experience with your brand. Selfridges and FEELUNIQUE are among internet retailers who got it right. 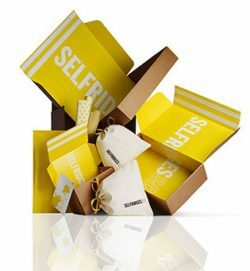 Selfridges’ “yellow moment” boxes reflect the quality of the products inside, which helps to maximise the impact of their brand identity. Once opened, they offer an instant feel good factor about the brand, showing customers they care. FEELUNIQUE packaging brings the unboxing experience to a whole new level. Short messages, including “Almost there”, “Thank you” and “Enjoy” are present on the box throughout the entire opening process and helps to build a stronger relationship with customers. FEELUNIQUE’s crash-lock boxes come with a transparent Korrvu retention film, ensuring that when the consumer opens the box they immediately see the product inside. Moreover, they are also very easy to open and self-sealing (no ugly tape needed! ), which maximises the beautiful look of your parcels! Macfarlane Packaging can help you to ensure that your products look stunning inside the box, so contact us today.